Home / PC Tuning / Uncommon File Type Errors And Best Ways To Handle Them. Various files on the basis of their usage and popularity can be divided into two categories: known file types and unknown file types. Known file types, include file types that are extensively used, such as the .doc or .xml file type, whereas unknown file types are those files about which not much information is available and are used sporadically. Our efforts in this article are focused on the latter, as we introduce you to three file types which fall into the unknown file type category. Plus, we also discuss in detail how to resolve file errors that you may come across while using files of such type. .mpg file extension – This file type is primarily used for distributing multimedia content over the Internet. So you may come across .mpg files while downloading a movie from the web. Most media players, including Windows Media Player, Apple QuickTime, Roxio Creator, and CyberLink PowerDirector support the .mpg file format. .cfg file extension – The term ‘cfg’ is short-form for configuration. .cfg files are thus configuration files that are used by numerous software to store configuration and settings data. Typically, you can view .cfg files using a text editor program, such as Notepad. .lnk file extension – .lnk files are only used on a Windows computer. These files contain a link to a program, file, or directory and are used by the Windows operating system to quickly access these entities. The most common file type error message that you are likely to encounter with an unknown file types is: ‘Windows cannot open the file’. 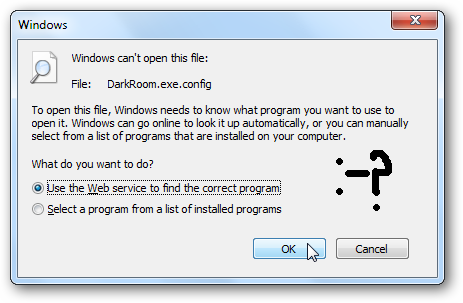 The program required to open the file is not installed on the system. One or more file openers on the Windows system are damaged. To resolve the issue, either install the required program or use a reliable file opener program to open the desired file. One advantage of using the latter is that it allows you to fix issues pertaining to damaged or corrupt file openers on a Windows system. In addition to the above error, you may also encounter file type errors while using the associated software. If the error is occurring due to missing or damaged application files, the issue can be fixed by uninstalling and reinstalling the associated software. The reason being, when you reinstall a software all its files are saved and registered again. Malware infection is the biggest cause of application errors – a fact said often but understood rarely. To fix file type errors occurring due to malware, run a malware scan on your Windows computer using a robust and compatible antimalware software. i follow the same procedure , when i don’t get any way to do it…..